Daemon Tools' disreputable younger days as a hacking tool seem a speck in the rearview mirror now. 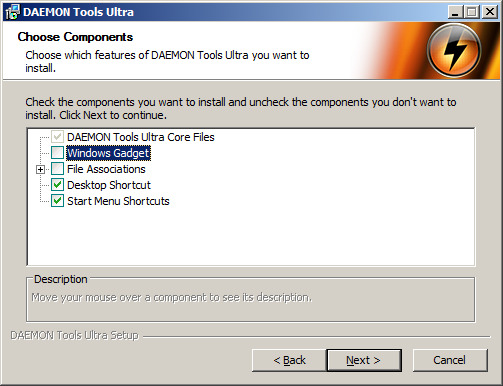 Arriving at what appears to be the new top of the pyramid for single users is the $45 Daemon Tools Ultra, but there's more, and less, here than meets the eye. 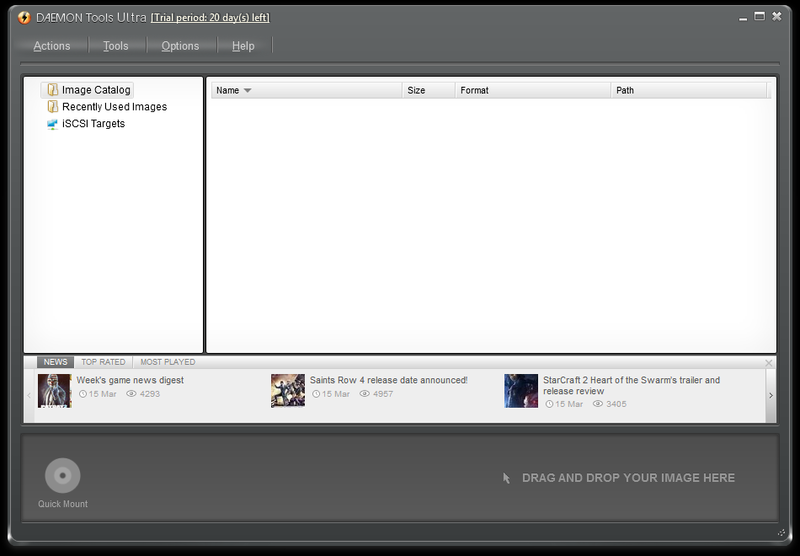 Disk Soft wants you to feel special, so the installation procedure is packed with golden moments like this. You've got to imagine the word "Diversification" is mentioned frequently over at Disc Soft Ltd these days. After years of static prices and singular release schedules, they've gathered an armful of new products under the Daemon Tools banner and have their market segmentation tuned finely enough to impress a Toyota executive. A cursory glance turns up 10 titles on the products page, some with prices close to $250 for corporate site licenses. The new interface is commendably clean, except for the ad bar. 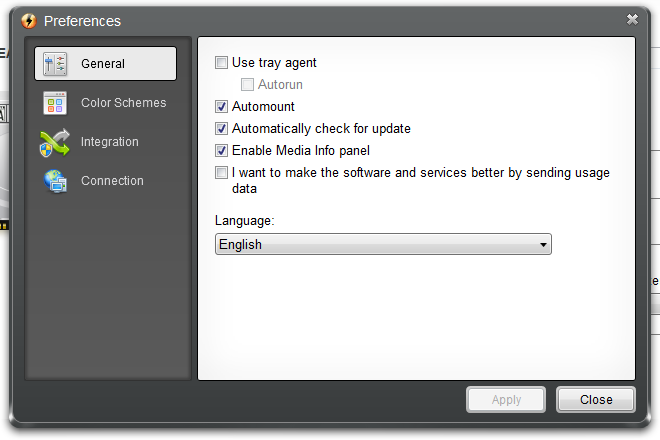 This can be turned off via the Preferences menu. 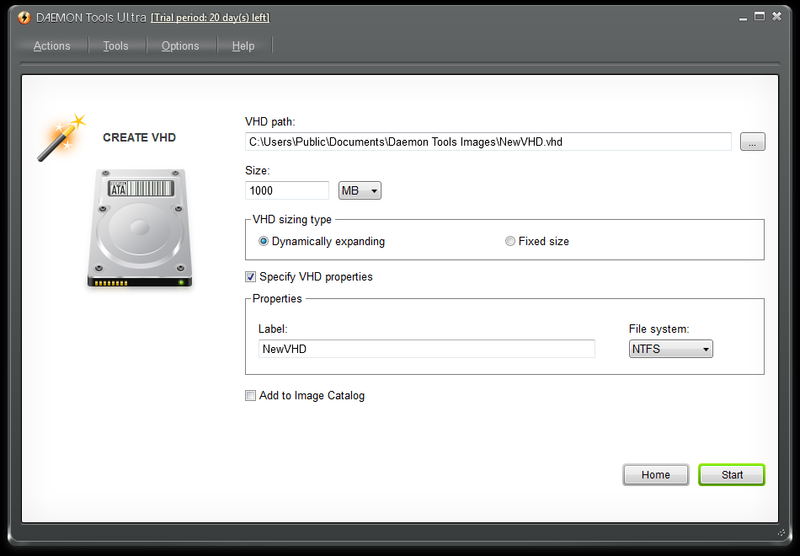 In the plus column, Disc Soft Ltd has added Virtual Hard Drive support to Daemon Tools Ultra, allowing users to create and access hard disk drive files as if they were physical devices attached the system. Protocol support is expanded as well, including iSCSI implementation for networked image hosts via either Disc Soft's own Daemon Tools Net or other iSCSI compliant hosting solutions. Operation is swift and reliable, with Ultra mounting a wide variety of images during testing and new features working as expected. Popular optical emulation modes perform as robustly as here as in other versions. However, that's not the case with features across the board. You can add dynamically sized virtual hard disks to the feature list in Ultra. "This is just first version which introduced new way of mounting. 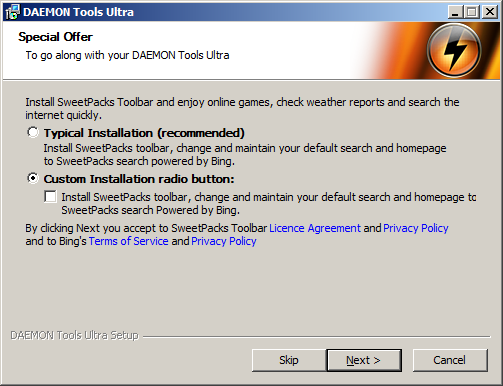 If users will like it, then we may add more features so no functionality will be lost compared to Pro"
"By purchasing an upgrade you will get a license of DAEMON Tools Ultra with a new serial number, that is always available at My Licenses page. Your current license will be blocked. About Multi-Instance License. Instance is considered as a License copy, which may be installed and used on one operating system. So, there is no ability update 1 instance." This beta-test approach is ill-advised given the product is commercially themed, has been officially released, and is one of the most expensive in their catalog. Also off-key is the fickle attitude displayed towards future development. All the "may" and "if" language suggests support is likely to be based on popularity rather than any sense of responsibility towards existing, paying customers. Adding injury to insult are the multiple attempts during installation to insert third party "browser bar" style software nonsense which makes the asked $45 investment feel exploitative. The good ideas and new features on display here don't outweigh this cynical approach. Unless you need VHD and iSCSI support, hang on to your current version until Disc Soft commits. If they won't, why should you? Although Daemon Tools Ultra is a handy addition to this series of hard disk tools, you're not likely to get your money's worth out of its extra features.